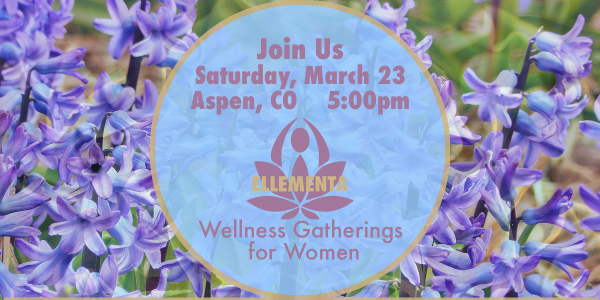 Join us at this Ellementa Women’s Wellness Gathering for empowering knowledge & conversation! This afternoon will be a friendly and informal gathering to share information and our experiences with cannabis as a therapeutic plant for women’s health and well-being. ~ How does cannabis interact with women’s bodies? ~ How does cannabis affect women differently depending on their age? ~ What high-quality products provide the effects women want? This Gathering discussion will be led by, Ellementa Gathering Leader Wendy Elkin. Wendy Elkin is certified as a Nutritional Therapy Practitioner, as well as in Functional Nutrition and Transformational Coaching. She is also currently studying under Dr. Dustin Sulak, a well-known cannabis medicine physician, to learn about medical applications of cannabis and the most effective and efficient ways to incorporate this tool into the healing protocol. Her philosophy is that you cannot completely heal from chronic health issues without finding the root causes, both physiological and emotional/spiritual; A holistic approach, inclusive of using medical marijuana as a tool in the toolbox, promotes optimal health. Wendy also has special training in using therapeutic nutrition approaches with people touched by cancer and continues to learn and research along the path. She is an avid supporter and advocate of using medical cannabis in combination with nutrition and emotional healing for a well-rounded approach. Whether or not you are receiving conventional treatment for your issue, she believes these tools integrated or stand-alone are very powerful. She is currently involved in searching for ways to use her skills in partnership with people in the cannabis industry to start educating people about the powerful results of “getting to the root” and using ancestral tools such as cannabis to regain our health as a human race.